Pradeep has a barrel of energy and loves to get everyone involved in the action. He likes to provoke people to think about situations and behaviour differently, creating more inclusive working environments. Pradeep’s depth of experience and creative ideas are invaluable in his role as Senior Learning Consultant and Head of Development at Aspire. He has a diploma in NLP and over a decade’s experience as a trainer in presentation skills, communication and leadership skills. He also specialises in Equality, Diversity and Inclusion. He trained as an actor Rose Bruford College which led him to be interested in how different people and personalities communicate. Now, he facilitates to allow people to think about situations and behaviour differently, creating more inclusive working environments and increasing emotional intelligence at all levels of organisational hierarchy. Pradeep believes practical training is one of the best ways to increase the repertoire of options to deal with any communication situation. His work isn’t about sticking to one “best way to communicate” formula; it’s about giving leaders a variety of tools so they can pick the best one to suit the message, person and situation. 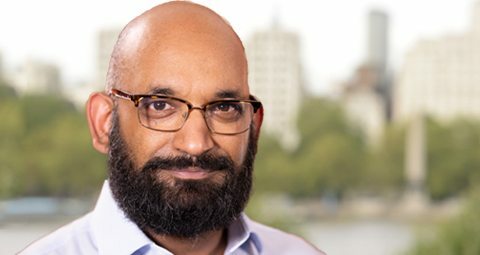 Pradeep has worked with many of our clients on our public leadership courses in London as well as recent in house courses for BOC (Linde Group), Great Ormond Street hospital, CHEP, Royal Academy of Engineering, Royal and SunAlliance, Emmaus, AMV BBDO, BP, Bristol Myers Squibb, JHC. His style is lively, engaging and inclusive. He is highly professional and very versatile. Outside the training room Pradeep is the Co-Artistic Director of theatre company A Monkey With Cymbals. He is on the Board of Trustees at The Space, an Arts Centre in East London and an Associate Director for Arc Theatre, a theatre company dedicated to creating social change.